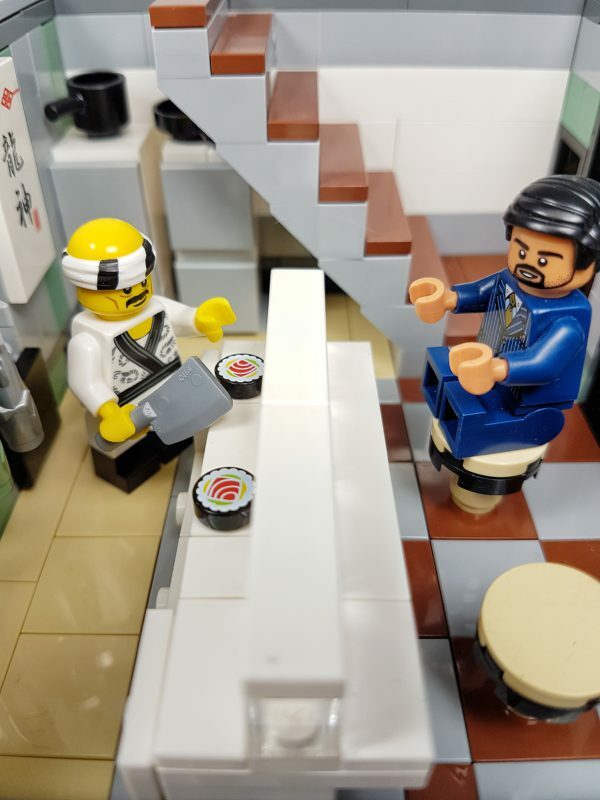 Take your sushi-to-go with this custom modular-compatible Japanese style restaurant! 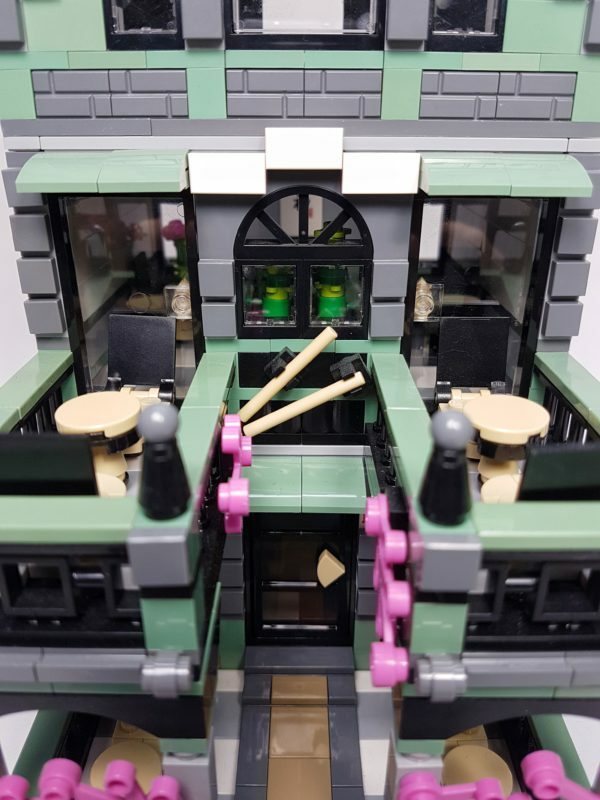 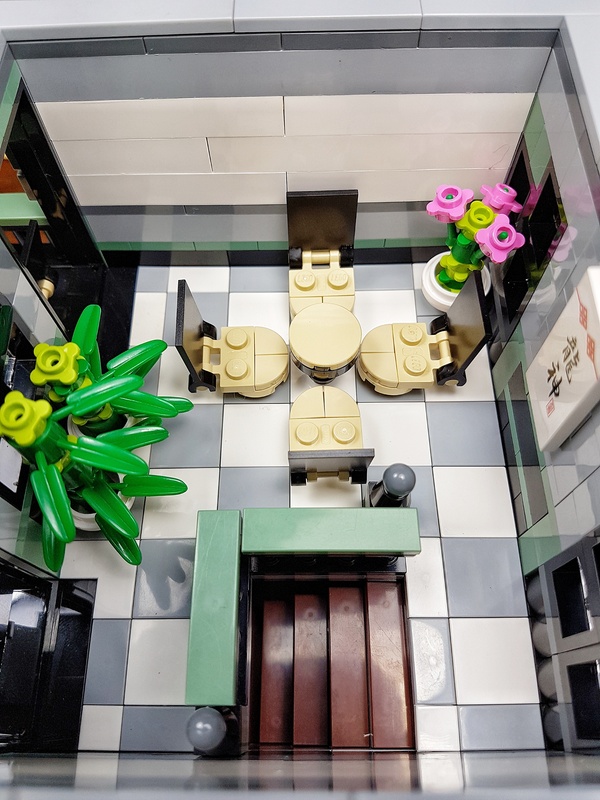 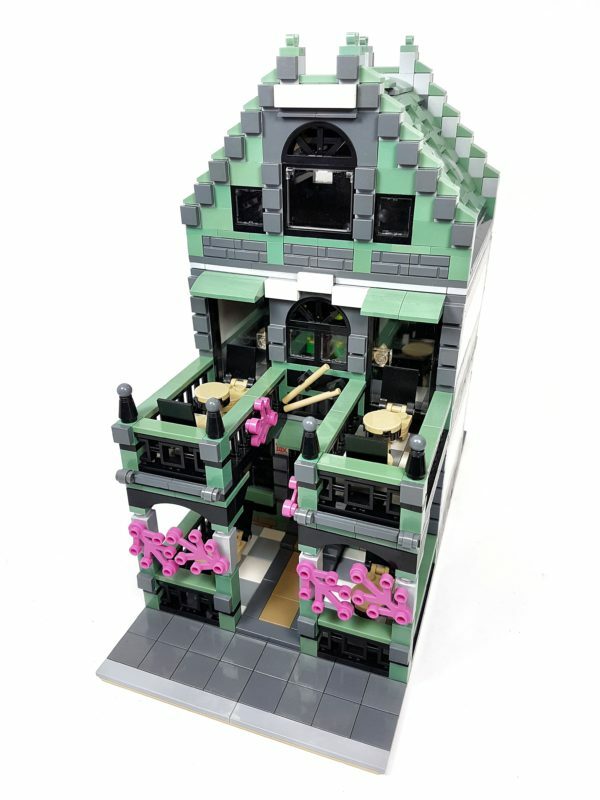 This build features 3 outdoor patio seating areas, a sushi bar, and a party sized table inside to seat a total of 12 mini-figures. The cherry blossoms around the patios, and the chopsticks above the front door are great indicators of the cuisine to be expected inside the restaurant. 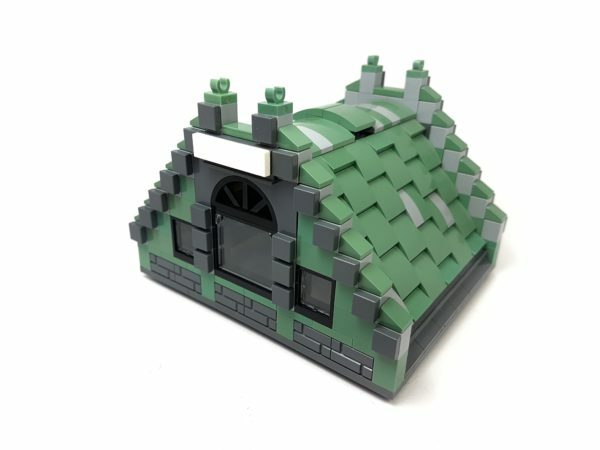 The roof is designed using hinges and a carefully fitted groove locking system which can be removed in two different sections. 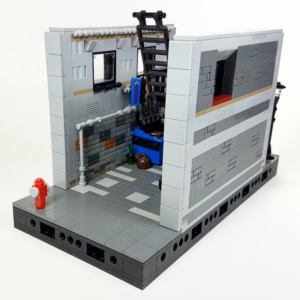 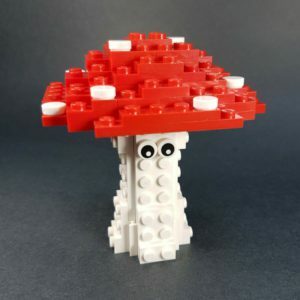 The sections of the modular are connected using an easy-fit method without the use of studs. 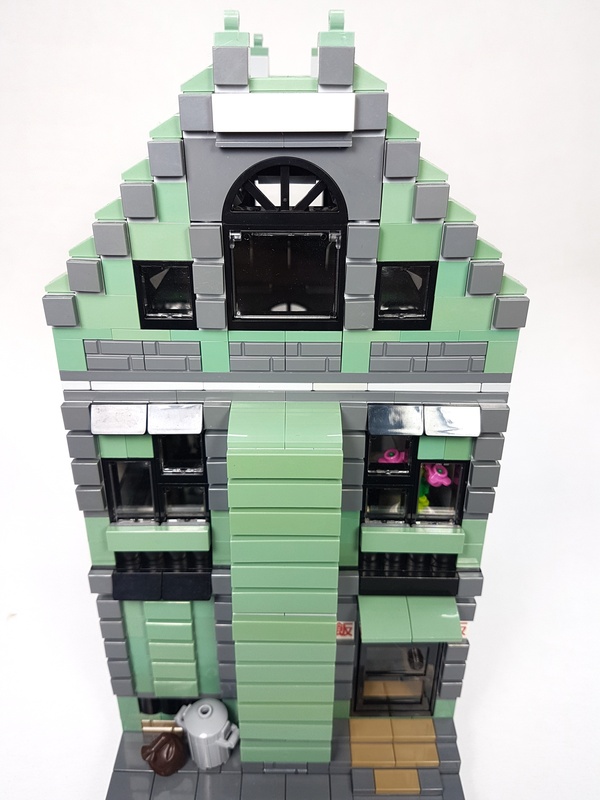 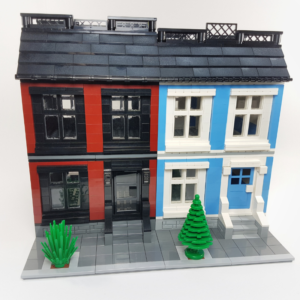 The building also only has one Technic pin hole on each side due to the placement of the patio, but still connects to other modular buildings snugly. 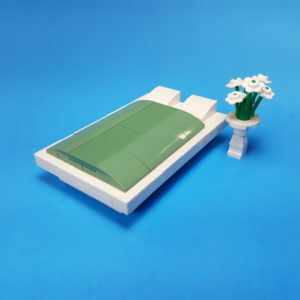 Add a touch of Japanese culture to your city layout with this sand green sushi bar!